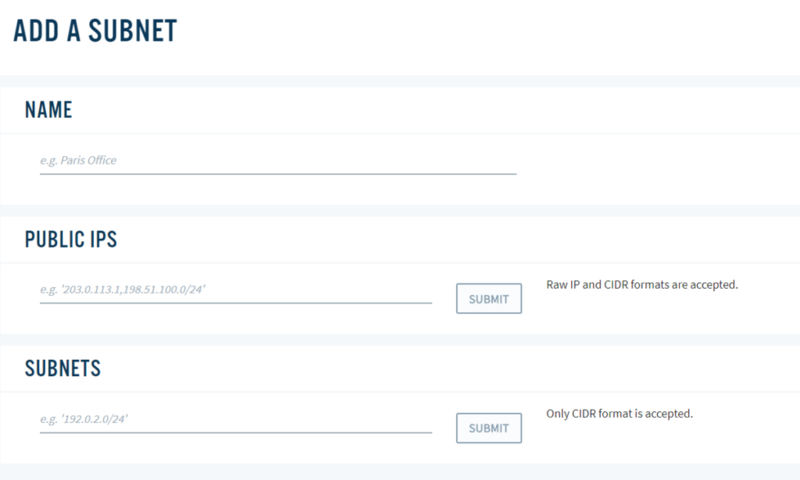 A few months ago, we announced the release of exciting new features as part of our eCDN solution, DNA Enterprise. These new features included LAN and subnet matching. 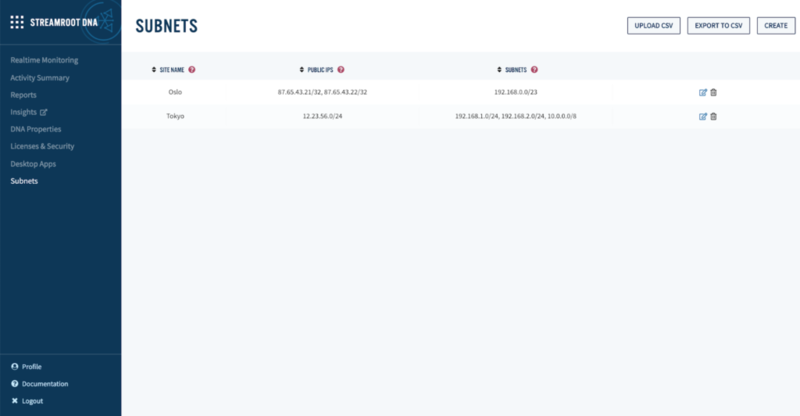 While permitting exchanges between users within the same local area network was already possible through the Streamroot dashboard, up until now, subnet matching and matching between multiple subnets could only be configured via an API. 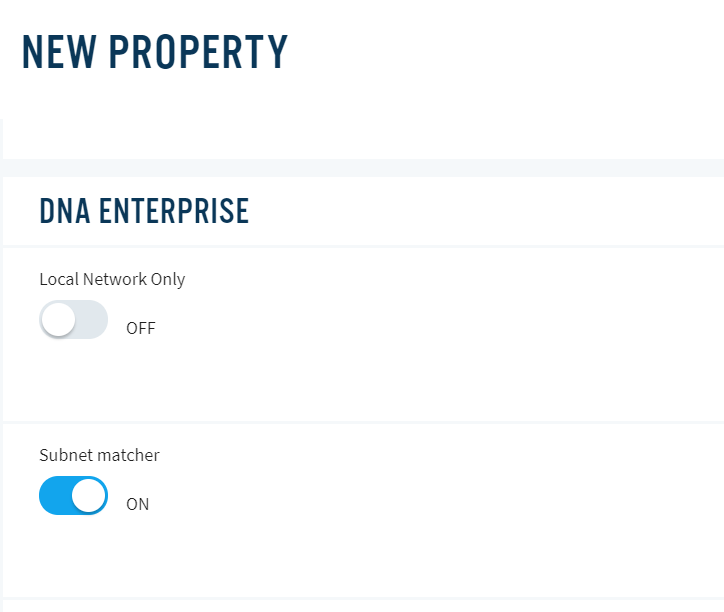 Today we’re happy to reveal that the new Streamroot dashboard includes a dedicated Subnets section which provides DNA Enterprise users additional, easier-than-ever control over the multi-subnet matching feature. Streamroot’s subnet matching offers significant flexibility to companies that wish to limit peer-to-peer exchanges within a site. Depending on your network configuration, subnet matching can increase efficiency in certain use cases, by avoiding inter-site data transfers. DNA Enterprise subnet matching feature lets IT teams allow exchanges only between users within the same local area network, or alternatively, group together a series of local area networks within which video data can be sourced. Both options can now be easily configured and applied directly from your new Streamroot dashboard in the Properties section. Find out more information on subnet matching for DNA Enterprise in our documentation here. 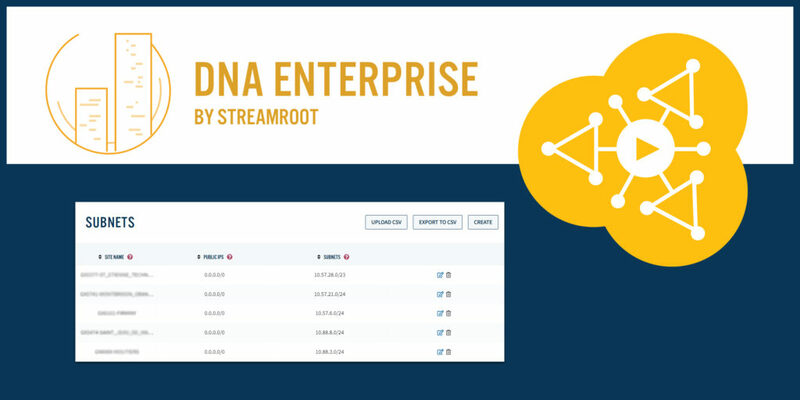 Already implemented by Fortune 500 companies, Streamroot DNA Enterprise helps IT and unified comms professionals provide an exceptional video streaming experience to thousands of employees worldwide. If your company is looking for a flexible, scalable eCDN for its video communications, fill in the form below to start you free trial of DNA Enterprise today.